ELA.RL.3.2: Recount stories, including fables, folktales, and myths from diverse cultures; determine the central message, lesson, or moral and explain how it is conveyed through key details in the text. ELA.RL.3.6: Distinguish their own point of view from that of the narrator or those of the characters. ELA.RL.3.9: Compare and contrast the themes, settings, and plots of stories written by the same author about the same or similar characters (e.g., in books from a series). ELA.RL.3.7: Explain how specific aspects of a text's illustrations contribute to what is conveyed by the words in a story (e.g., create mood, emphasize aspects of a character or setting). ELA.RI.3.3: Describe the relationship between a series of historical events, scientific ideas or concepts, or steps in technical procedures in a text, using language that pertains to time, sequence, and cause/effect. ELA.RI.3.6: Distinguish their own point of view from that of the author of a text. ELA.SL.3.3: Ask and answer questions about information from a speaker, offering appropriate elaboration and detail. 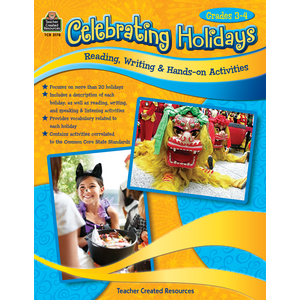 ELA.SL.3.5: Create engaging audio recordings of stories or poems that demonstrate fluid reading at an understandable pace; add visual displays when appropriate to emphasize or enhance certain facts or details. ELA.SL.3.4: Report on a topic or text, tell a story, or recount an experience with appropriate facts and relevant, descriptive details, speaking clearly at an understandable pace. ELA.RL.4.6: Compare and contrast the point of view from which different stories are narrated, including the difference between first- and third-person narrations. ELA.RL.4.9: Compare and contrast the treatment of similar themes and topics (e.g., opposition of good and evil) and patterns of events (e.g., the quest) in stories, myths, and traditional literature from different cultures. ELA.RL.4.7: Make connections between the text of a story or drama and a visual or oral presentation of the text, identifying where each version reflects specific descriptions and directions in the text. ELA.RI.4.6: Compare and contrast a firsthand and secondhand account of the same event or topic; describe the differences in focus and the information provided. ELA.RI.4.9: Integrate information from two texts on the same topic in order to write or speak about the subject knowledgeably. ELA.SL.4.2: Paraphrase portions of a text read aloud or information presented in diverse media and formats, including visually, quantitatively, and orally. ELA.SL.4.5: Add audio recordings and visual displays to presentations when appropriate to enhance the development of main ideas or themes.